Home Nutrition Do you suffer from skin ailments? Anyone who suffers from skin ailments such as acne, eczema, cold sores, psoriasis, rosacea or hives understands how frustrating and sometimes embarrassing it can be to have these issues. It can also seem impossible to get rid of because most people are only given the symptomatic tools, such as antibacterial soaps, face washes, lotions or oils.The problem with only working on what you can see is that then you are only working on part of the problem. Our bodies have four eliminatory channels, the bowels, kidneys, lungs and skin. The bowels are the most efficient way the body has to rid itself of toxins, but if they are constipated then the body will utilize one of its other eliminatory channels. If the lungs are utilized next then it can turn into cold symptoms and coughing. When the kidneys are used you can get a kidney or bladder infection, and if the skin is used to rid the body of toxins then it can look like acne, eczema, cold sores, psoriasis, rosacea, hives, etc. Our skin naturally has a thin layer of mucus that helps our skin breathe, protects it from bacteria and keeps it moisturized. Our macrophage cells live in this thin layer of mucus and they are our first line of defense for our immune system. This means that they are the first to attack invaders, thus playing a significant role in our health. We get this thin layer of mucus from eating raw fruits, vegetables, nuts, whole grains and seeds, but when we eat foods such as dairy, meat, eggs, processed starches and sugar the mucus membrane gets too thick. When our skin does not have the right balance of mucus our macrophage cells cannot live there thus, creating a weakness in our immune system. Eliminating devitalized foods from our diet and cleansing the body is a huge part of the battle, but we must not forget to look at what we are using to wash our precious skin. When we use antibacterial soaps on our bodies they kill all the friendly bacteria along with the bad bacteria. But what most people don’t realize is that the friendly bacteria, is what eats the bad bacteria! So if you have killed all your good bacteria then the bad bacteria will thrive, causing acne and other skin ailments. The purest oils to use on your skin are therapeutic grade essential oils. The beautiful thing about therapeutic grade essential oils is that they do not kill the friendly bacteria. They also don’t strip your skin of crucial oils like most products that contain alcohol or other harsh preservatives. When looking for essential oils you absolutely want to make sure that they are therapeutic grade. This guarantees the medicinal qualities of the oils as well as the safety of the product. I want to be 100% sure that I am lathering my babies and loved ones with pure gifts from Mother Nature and nothing else. 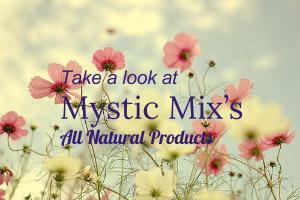 Before mixing essential oils you want to pick a carrier oil to put them in. Almost all therapeutic grade essential oils are too concentrated to be put directly on the skin, therefor you want to dilute them in a high quality carrier oil. Some wonderful options are: organic sweet almond oil, organic olive oil, organic coconut oil, organic apricot oil, organic evening primrose oil, organic wheat germ oil etc. When we concentrate on healing the whole self the results are truly transformative. There is a very informative article on the importance of using pure body products on the articles page. If you would like to set up a consultation with me just visit my page or contact me at utahherbalist@gmail.com. I look forward to hearing from you!